Designer Kitchens has experience in fitting traditional and contemporary kitchens. Aluminium kitchen units are becoming very popular. Their light, yet strong attributes give a streamline effect. With Aluminium units, your kitchen would look elegantly bright, neat and luxurious. Aluminium is a high end material within the metal range, because it stunning and strong. A less expensive alternative would be stainless steel. Stainless steel is a thin MDF door with a brushed finish. While they are not as strong as Aluminium, stainless steel may appeal to more people. The beautiful reflection of light allows your kitchen to look high end, glamorous and slick. High Gloss Kitchens are a popular style that create a stunning shine to your Kitchen. Their smooth surface allows light to be reflected, leaving a diamond standard finish to your kitchen. High Gloss units are made with a MDF core. This allows strength and durability to the product. Typically, Vinyl is added to the core to give a diamond style finish. This allows light to reflect off the kitchen and give a stunning shine. Designer kitchens makes sure that your gloss kitchen with be laminated to the highest quality. We believe that strength and look is the combination to a successful kitchen. High Gloss Glass kitchens are unique. Their design, made from safety laminated glass, allows your kitchen to look sophisticated and luxurious. 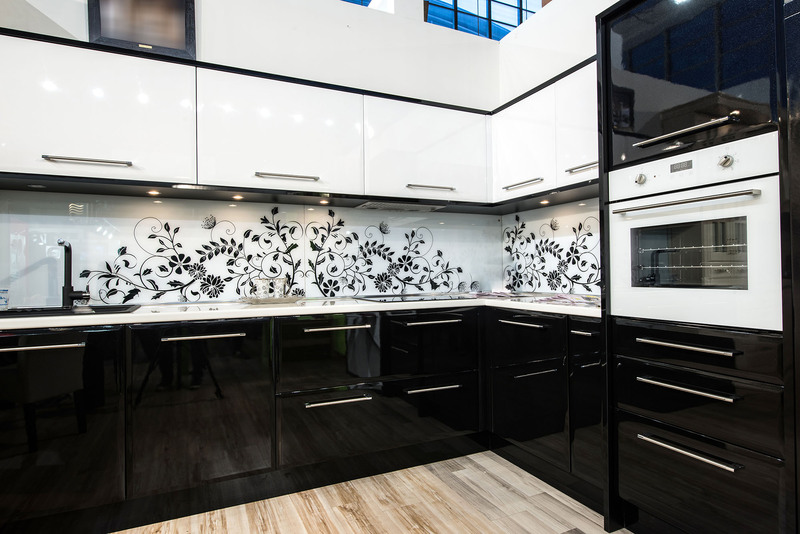 Designer Kitchens offer this glass in many colours, with numerous patterns and finishes. The units can come with a handle-less finish, allowing your kitchen to look contemporary and streamlined. Designer Kitchens offer High Gloss Laminated kitchens. With it’s competitive price, the Laminate kitchen still boasts a stunning and unique look. Available in a wide range of colours, this luxury kitchen is suitable for any designer’s needs.